Visiting my parents this weekend in the Poconos...This is one of those staple landmarks I always look for on my drive home. I decided I wanted a picture of it in case it ever disappears. 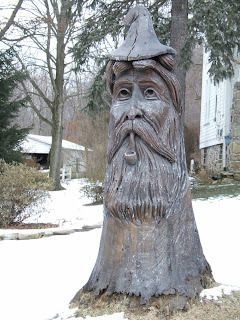 I would be very sad :( It's carved out of a real tree trunk! Husky Rescue - "City Lights"
The Notwist - "Off the Rails"